Week 31 Recap: Will Napoli Take Inter’s Place As Milan Challenger? The Italian Serie A closed it’s 31th week with a surprising Juventus’ victory over As Roma, allowing Vincenzo Montella taste his first league defeat since taking over from Claudio Ranieri. However, the headlines of the weekend is still being filled with Alexandre Pato’s brace and also later on Edinson Cavani’s hattrick in a 4-3 win against Lazio that led his team once again trailing Ac Milan in second place with only three points behind. Pato, who had been covering the Italian media recently with news about his relationship with Milan’s boss daughter, Barbara Berlusconi, sending a special message for the alleged new girl friend by dedicating his two goals for Barbara. It looks like the love effect might be a positive effect for the Brazilian starlet at the moment as he finally lead the Rossoneri to win a derby, something that he hasn’t been able to do since coming to Milanello few seasons ago. Meanwhile, the next day Cavani once again lifted the euphoria of Napoli fans as the current Serie A top scorer added three goals tally in his name, simply giving something that would carved him in the heart of the Southern based club tifosi. Although, his team are only three points behind, the striker admittedly didn’t want to talk about Scudetto chances this time as the fear failure to catch Milan up might catch their mind especially with the Uruguayan set to miss out the Partenopei’s upcoming match against Bologna. Let us enjoy this victory,” Cavani said “Our attitude remains the same: give 100 per cent in every game for this city and this team. This weekend results pretty much gave another interesting scenario in the Scudetto challenge as although Inter Milan are still being touted as the Rossoneri’s main rival considering the quality that they had, but mathematically, the Partenopei are now ahead of the Nerazzurri. 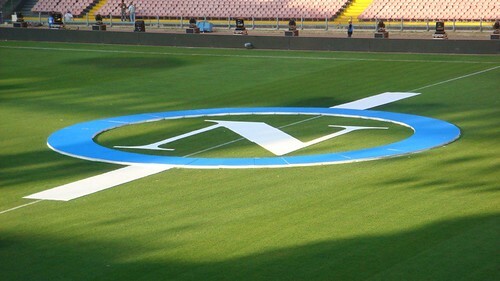 However, the task for the Partenopei players to challenge for the title can be seen again in the next match where Cavani will not play, previously the Southern Italian team have been losing many points when any of their three important attacking players, Marek Hamsik, Ezequiel Lavezzi and Cavani were absent. Should the Naples fails to keep the pace again in the next match and Milan doesn’t get complacent, then it’s save to say that the Southern Italian team might only be “good” enough to challenge for the Champions League spot or at least the runners up place. As for Leonardo’s Inter, a stern test also awaits them as the lose against a title rival such as Milan usually gave a sort of mental block that would affect the players confidence in finishing the season. This happened to the Rossoneri, that were coached by Leo last season, and it would be interesting to see whether the Brazilian has learn a new motivational method to at least keep his team challenging for the league title.